The time has arrived for MPJ. Many months of preparation and analysis by arguably the world’s best nickel geophysicists and geologists has led to precise drill target definition. Refined anomalies at MPJ’s Roe Hills project in Western Australia are this very minute being hunted by 5 to 10 KILOMETRES of diamond drilling. 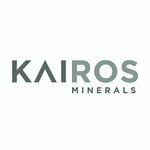 Multiple key prospects, contained within a 40km continuous strike of ultramafic rocks are being tested right now – Results are due in just a few weeks. At the same time – drill results may not be conclusive, and MPJ remains a high risk investment for now. MPJ have on the team Neil Hutchinson and Newexco, who are responsible for $2.5BN worth of nickel discoveries between them – that is the combined market cap of the holding companies. MPJ is fully funded for this 10,000m drill programme, and are also anticipating an R&D rebate as part of the work. This “Speculative Buy” rating is a good sign, but analyst reports aren’t the only tool we use when making an investment decision, they are just one thing we consult. With 5 to 10 KILOMETRES of nickel sulphide drilling now underway at Roe Hills, along with downhole geophysics to test for additional conductors, it appears that MPJ is just warming up. It doesn’t hurt that the drill targeting has been designed and refined by Neil Hutchison from Poseidon Nickel, who discovered the Cosmos and Windarra nickel deposits. And Neil has been assisted by the founders of Newexco, Bill Amann and Adrian Black, who were integral in the discovery Sirius Resources’ massive Nova-Bollinger nickel deposits. As we mentioned above the total market cap of companies holding the discoveries led by Neil and Newexco amounts to $2.5BN . If MPJ is sitting on a large nickel resource, chances are that the team they have assembled will find it. So initially, MPJ will drill a total of 15 diamond holes for 5,000 metres, along with down-hole electromagnetic surveys to be managed by Newexco. MPJ may elect to extend the campaign to 10,000m. As MPJ recently raised $1.398M , they have the funding capacity to execute this work. OnQ Drilling has been contracted to complete this initial phase. Additional drilling over and above 5,000 metres will be at a discounted rate, and as is the case with most contractors involved in MPJ’s nickel exploration, OnQ is taking a substantial portion of their fees in MPJ shares... Hint hint. MPJ is almost like three nickel exploration companies in one – over the next few months we should start to learn more and more about these other projects. MPJ has been a hot topic in recent times... even The Australian featured an article on their world class technical team, who are involved with MPJ and are supervising the current drilling at Roe Hills. 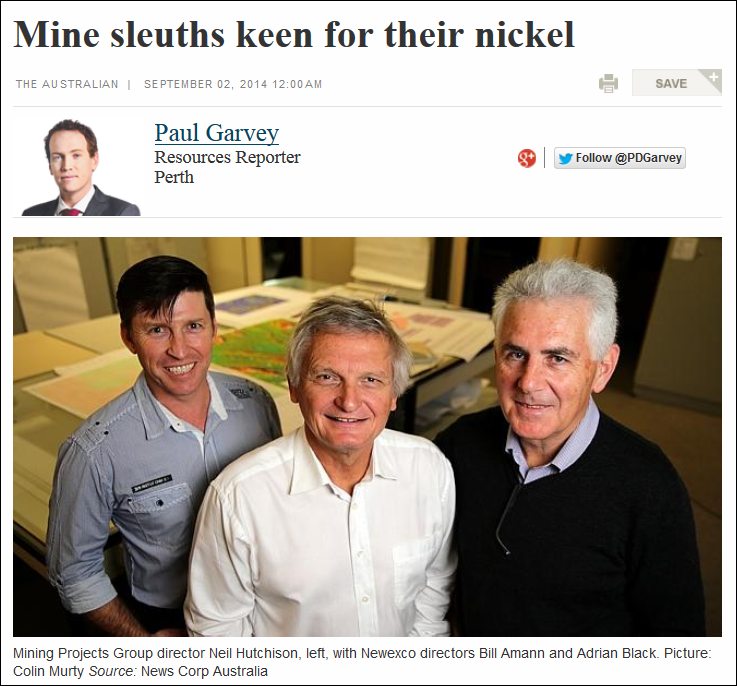 It’s show time in the WA nickel sector and MPJ is playing leading man. 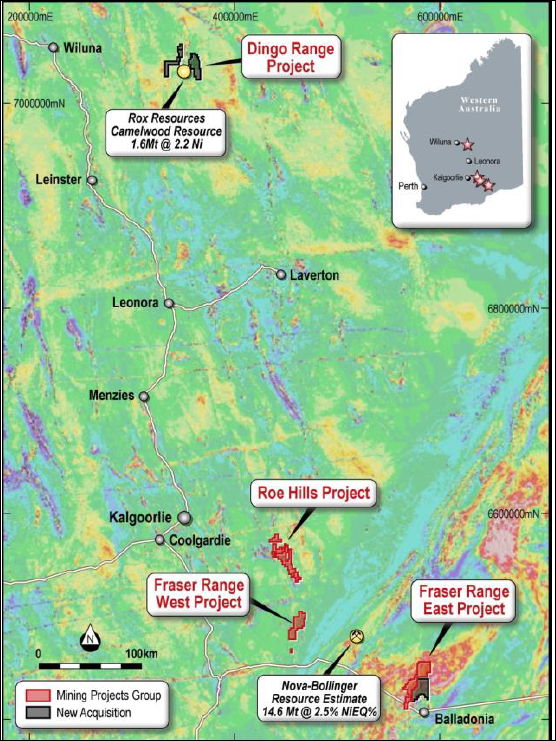 With 5 to 10 kilometres of diamond drilling at the Roe Hills Project, including downhole electromagnetics, there are multiple price sensitive price catalysts lined up to potentially enthuse the market as the programme comes to completion over the coming months. MPJ management, cornerstone investors and the nickel genius of Bill Amann, Adrian Black and Neil Hutchison are all locked and loaded with MPJ shares. And this is just one of three major nickel projects in MPJ’s arsenal. 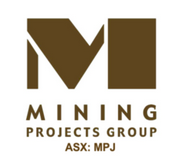 MPJ is still a small exploration company and is a high risk investment. But as MPJ investors ourselves, we are glad we are not on the sidelines.